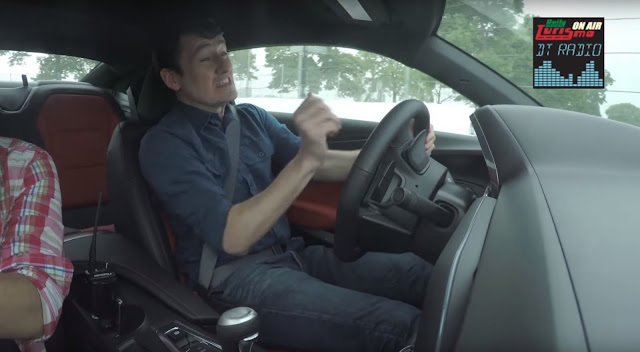 Editor-in-Chief of Jalopnik Patrick George joins the Daily Turismo Radio Show via skype to talk about crashing CamEros, being a badass, and the differences between Texas and New York City. Listen live on TalkRadioOne.com or via Tunein radio app for your phone (and search TalkRadioOne) at 7PM Pacific time (10PM Eastern) June 10th-- or listen anytime on PodBean or iTunes. "Cameros"... seriously? You've been reading too many hillbilly CL ads. Follow along with me... C, A, M, A, R, O. There, you've got it. Now practice at home. Look closer. You'll see it. I edited the intro text to make "it" a bit more obvious.